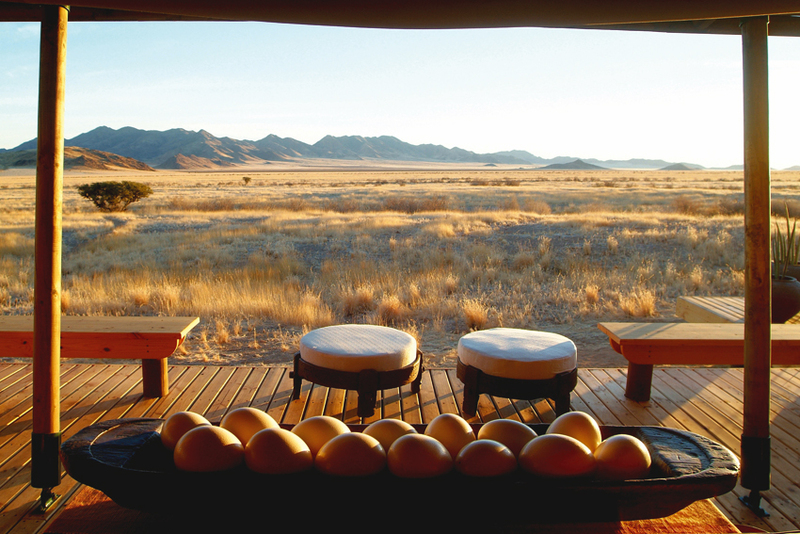 On arrival at Wolwedans in the NamibRand Nature Reserve you already feel you’ve left all civilisation behind. A warm welcome by a friendly local guide with a glass of refreshing iced tea will wipe out any further responsibilities you might still be carrying around with you. A game-viewing Land Rover is waiting to take you to the latest addition of the Wolwedans portfolio, Boulders Safari Camp. Taking in the fresh breeze in the open vehicle and finding yourself immersed in the vast and ethereal desert vistas, you know it’s time to relax and let the journey be the destination. 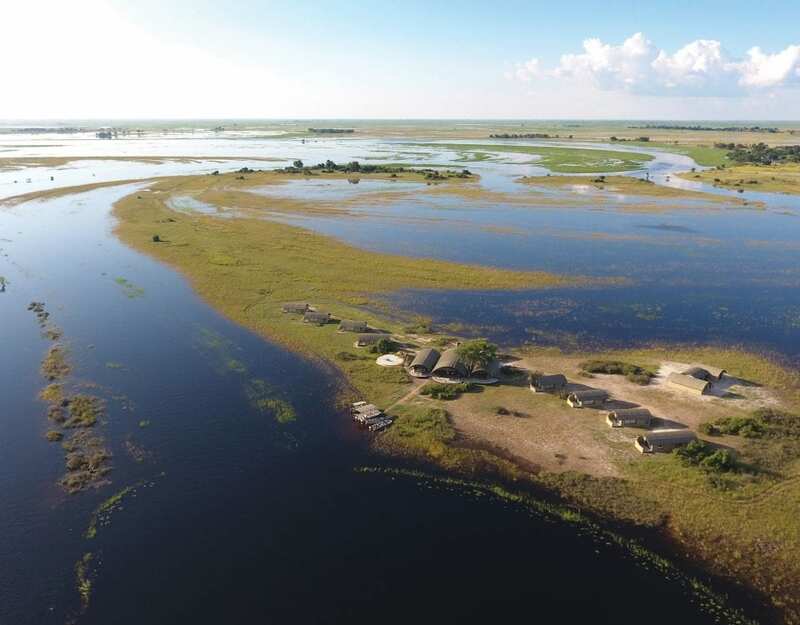 Crossing over striking red dune belts and vast grassy plains set off by the contours of distant mountain ranges and populated by large herds of springbok, gemsbok and flocks of ostrich, it’s easy to believe you’re approaching the end of the world. As the scenic two-hour transfer continues, the terrain changes to a more rocky landscape, dominated by scatterings of huge granite boulders. 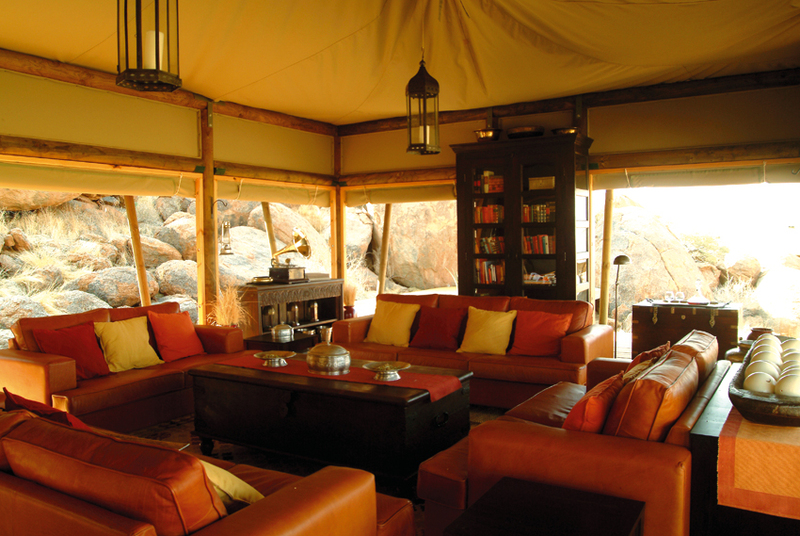 The mystery of Boulders Safari Camp deepens as you find yourself scanning the horizon for pointed safari tents. And all of a sudden, quite unexpectedly around the next bend, it comes into view: a small collection of wood-and-canvas structures spread out along the foot of an impressive granite mountain. Another warm welcome by the resident team and a look around the main structures make it evident that everything at Boulders Safari Camp has been designed to provide guests with a uniquely classic safari experience. The tented structures exude providence and old-world charm. Exquisitely equipped with both custom-made and antique furniture, complemented by timeless paraphernalia such as brass telescopes and a gramophone, the tents make for a sophisticated desert refuge that will leave you feeling far from stranded. It has been a central concern of Wolwedans proprietor Stephan Brückner to ensure that Boulders Safari Camp reiterates the theme that has been honed to perfection in the creation of Wolwedans Dunes Lodge, Wolwedans Dune Camp and Wolwedans Private Camp, namely a commitment to provide guests with a stylish safari experience while minimising the environmental impact on the fragile desert habitat. Built on stilts like all other structures at Wolwedans, the spacious tented rooms have been furnished to reflect elegance and comfort. Opening up the canvas blinds during the day allows for the best in nature and civilisation to fuse. The bathrooms also have a generous design and luxurious fittings, with windows opening up to a most enchanting view while you brush your teeth in the mornings. The camp sleeps a maximum of eight guests in four rooms and lends itself to being booked for guided groups. One of the rooms has two queen-size beds to accommodate singles or families. 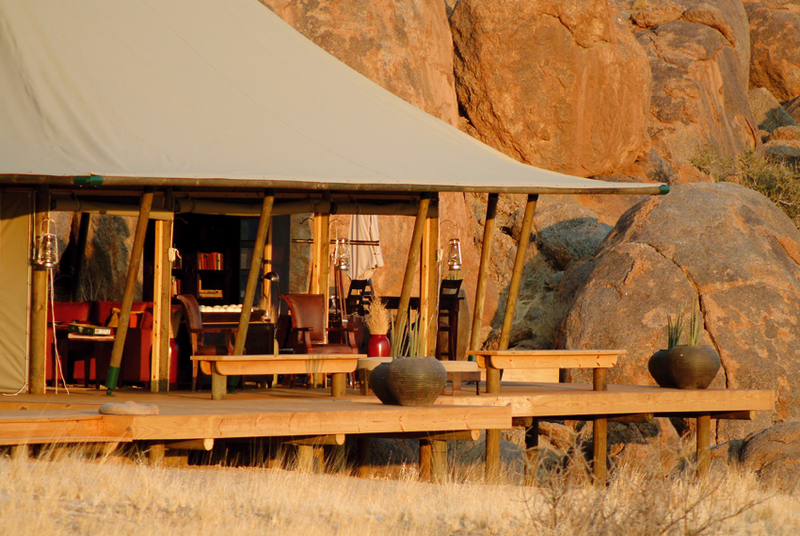 The camp also offers accommodation for a pilot or guide in a separate tented unit. Meals are served in the mess tent, or on windless nights, on the deck in the open air, enhancing the personalised atmosphere with the chef’s superb take on bush cuisine. The stylish and cozy lounge is the perfect place to relax with a glass of vintage wine – sampled from a select wine list – and reminisce about the day’s adventures. To complete the classic safari feeling, there is a fireplace not far from the mess tent where the chef prepares a rustic but stylish barbecue under the stars. The 360-degree view from the sundowner spot on top of a massive granite boulder is pure grandeur and will remain etched in your mind forever. 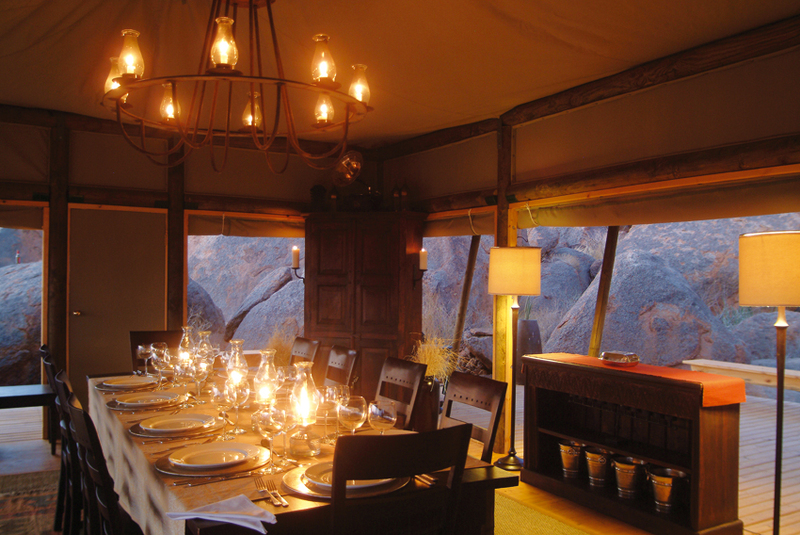 Boulders Safari Camp is located in the deep south of the NamibRand Nature Reserve, about 45 km away from Wolwedans, surrounded by 45 000 ha of pristine wilderness. 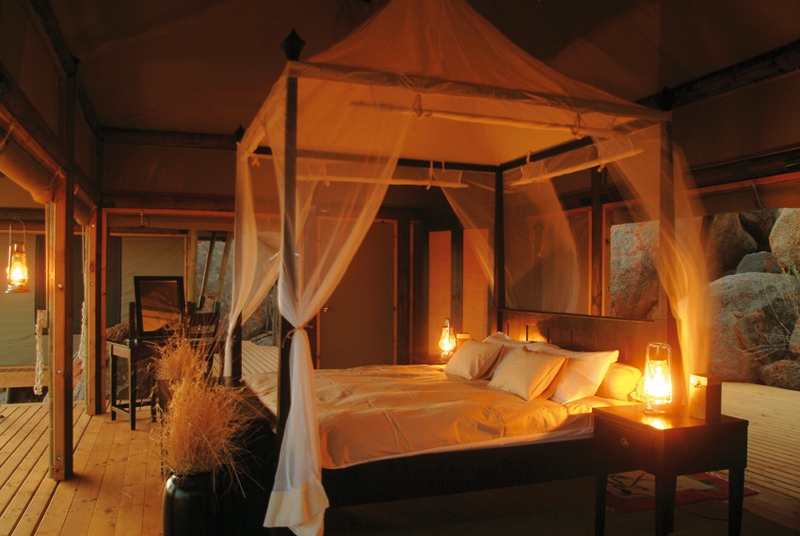 It is clear that a safari camp so far off the beaten track can only allow for a very privileged encounter with nature. Your guide will soon let you in on the fact that the area has a rich anthropological history. Activities at Boulders Safari Camp include nature walks and scenic drives into the immediate surroundings, revealing some of the many artifacts that bear testimony to the valley being an ancient hunting territory of the San people. It is possible to do some walking on your own, but this is limited to the plains south of the camp. Leaving Boulders Safari Camp feels like having to give up your personal sanctuary in the desert. 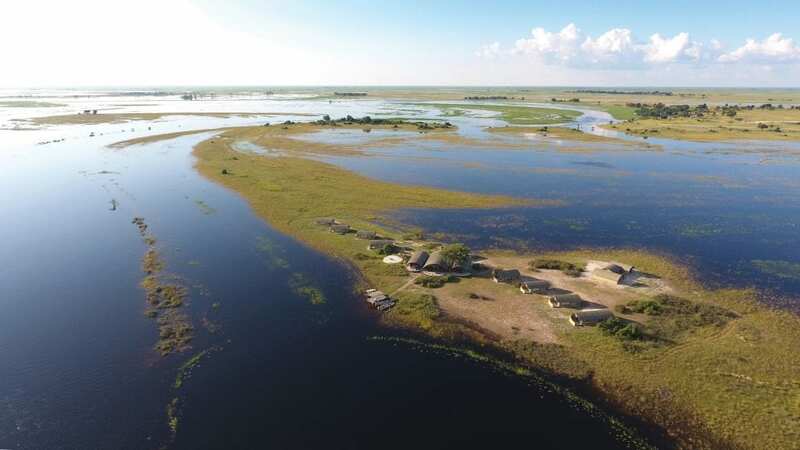 This camp has much to offer to those who like to enjoy solitude in style while marvelling at a landscape that is as real as it is transcendental. It is a unique destination in the middle of an ancient desert, a place to be and unwind while enjoying a truly classic safari experience. To make the most of your stay at Wolwedans, it is recommended you stay a night at a camp or lodge in the dunes before heading to the more rocky terrain of Boulders Safari Camp.